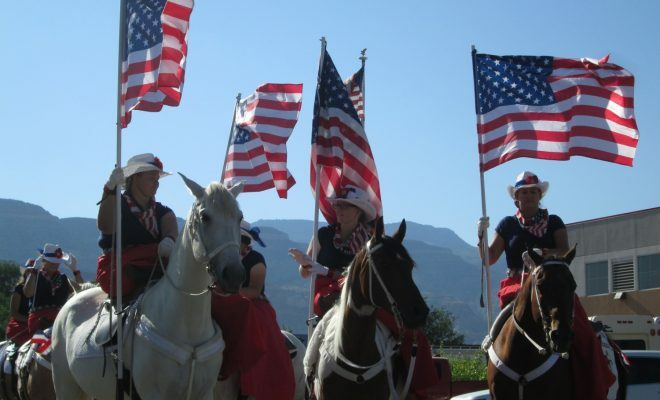 Palisade’s 4th of July parade, on a cool and breezy morning, featured music by the Palisade Marching Band, floats, red and white decorations, horses and riders, alpacas on parade, fire and police vehicles, and spectators along the route. The parade assembled in the fire station parking lot after 8 a.m., commenced up Iowa at 9 a.m., turned onto 3rd, and marched up Main Street to end at the Palisade Memorial Park by 9:30. In the park, the band concluded by playing patriotic music. The shaded and green park was busy with families, dogs, and vendors. Palisade Lions Club members cheerfully scooped free ice cream. Nearby, kids looped and swooped around the smooth concrete bowl of the newly opened skate park. 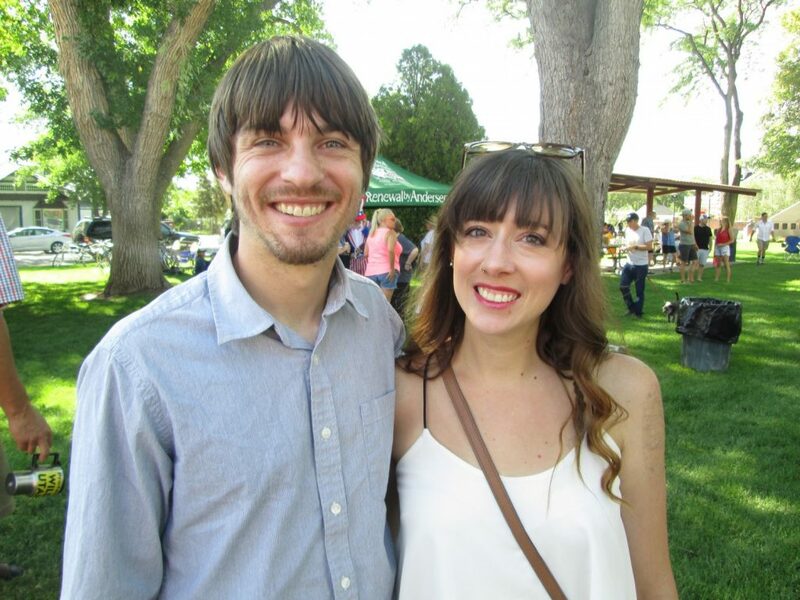 Organizers of Palisade’s “We the People” Independence Day Parade included Tyler Chase-Nason and Palisade Trustee Thea Chase. Each trustee played a role in the parade. 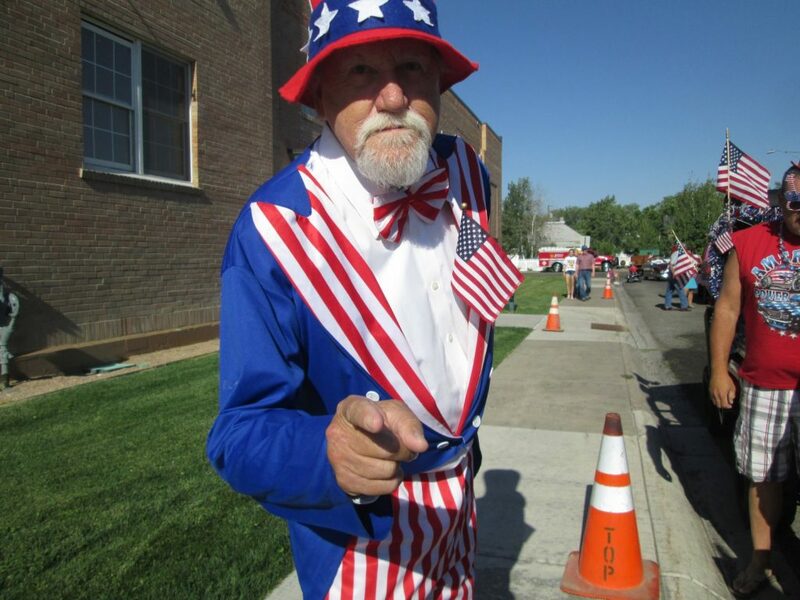 UNCLE SAME IN THE PARADE IS JIM HODNETT OF PALISADE. 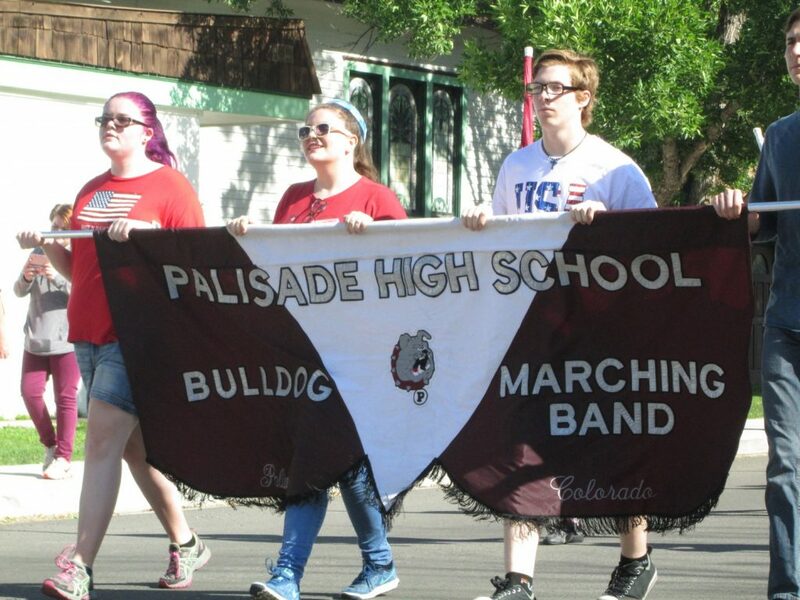 PALISADE HIGH SCHOOL MARCHING BAND ON MAIN STREET. 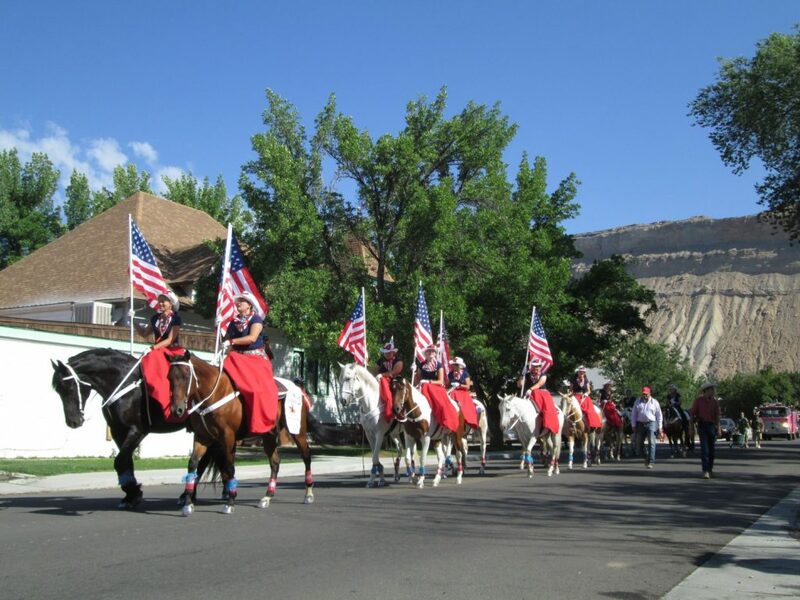 PALISADE’S 4TH OF JULY PARADE, MARCHING UP MAIN STREET. 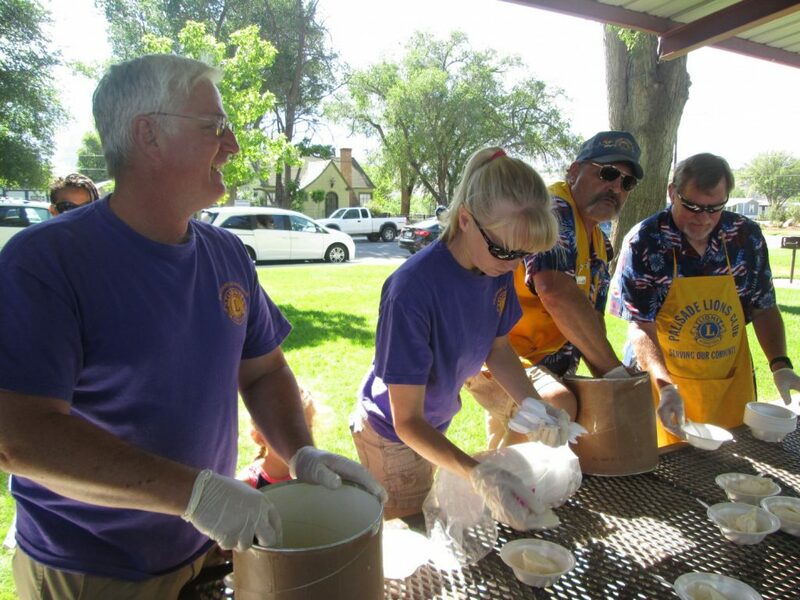 PALISADE LION CLUB MEMBERS SCOOP FREE ICE CREAM IN MEMORIAL PARK. TYLER CHASE-NASON, A PARADE ORGANIZER, AND BECKY DARK, ARE SEEN AFTER THE PARADE IN MEMORIAL PARK.